ParklandGEO has provided a full range of construction monitoring and supervision services on over 1500 projects since 2000. Why Choose Advanced Quality Assurance/Quality Control Testing Services? Once limited to very large heavy civil or mega projects, advanced construction quality control testing is now commonplace on medium to large size construction projects. Savvy design professionals and owners know that with changes to the National Building Code to require the use of Limit States Design for foundations has opened the door to numerous opportunities to utilize advanced testing procedures to optimize designs and minimize costs. ParklandGEO is Western Canada’s leading provider of PDA testing services, including a stable of engineers capable of running simultaneous multiple test programs, where we can provide timely service and minimize delay. We can undertake CAPWAP and WEAP analyses to provide a full engineered solution to your piling needs. We have undertaken numerous full-scale pile load tests on all types of piles including compression, tension and lateral loading conditions. ParklandGEO has experienced technologists and technicians in each of our offices who can undertake routine testing of concrete, asphalt, and soils, while senior staff are available to provide guidance on construction methods, material suitability, and subgrade inspection. 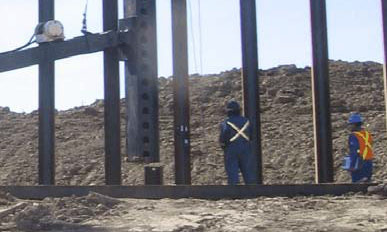 We have been providing resident engineering services for numerous clients in remote locations for a variety of foundation and heavy civil construction projects. 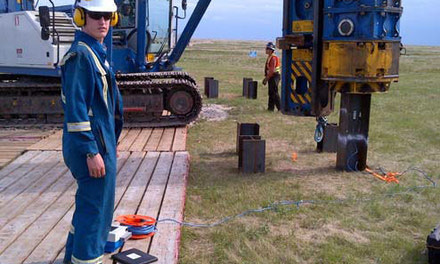 As one of Alberta’s leading geotechnical and materials testing consulting firms, ParklandGEO has been working for owners, developers, contractors, government and industry for over 15 years. ParklandGEO offers a full-suite of geotechnical design experience and routine materials testing quality assurance and quality control (QA/QC) testing on both routine and highly complicated projects. Our field staff work closely with the engineering team to ensure that construction difficulties are identified early, dealt with quickly with minimal delay, and contractor extras are minimized or eliminated. 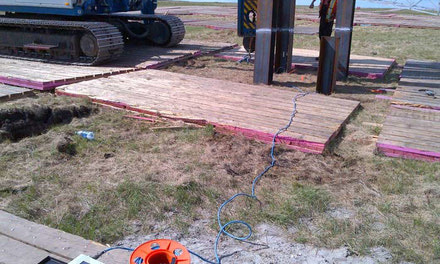 We also offer resident field engineering services.